Bright Dead Things – loudlatinlaughing – Euge! Euge! 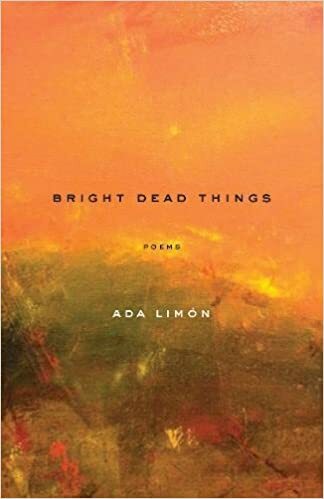 I’m coming to love Ada Limón’s poems and starting to get mad when bookstores I wander into don’t have anything of hers. This is a collection spawned from her move away from Brooklyn down to Kentucky with a boyfriend, musings on the dying of her step-mother. The poems hop around to various locales, mentioning her parents coupling in San Francisco in their apartment above a bar in the Castro, to Oklahoma, Boston, the San Fernando Valley, the bluegrass state. Looking forward to her novel.